And it was second time lucky for Imogen, from Marsden, who took part in the contest last year. She performed Deep Blue by Ian Clarke and Trevor Green’s Picaroon Polacca. Imogen is a member of the National Youth Chamber Orchestra and the National Wind Ensemble of Great Britain. She has previously won prizes for her performances at St John’s Smith Square in London and further afield in the Netherlands. 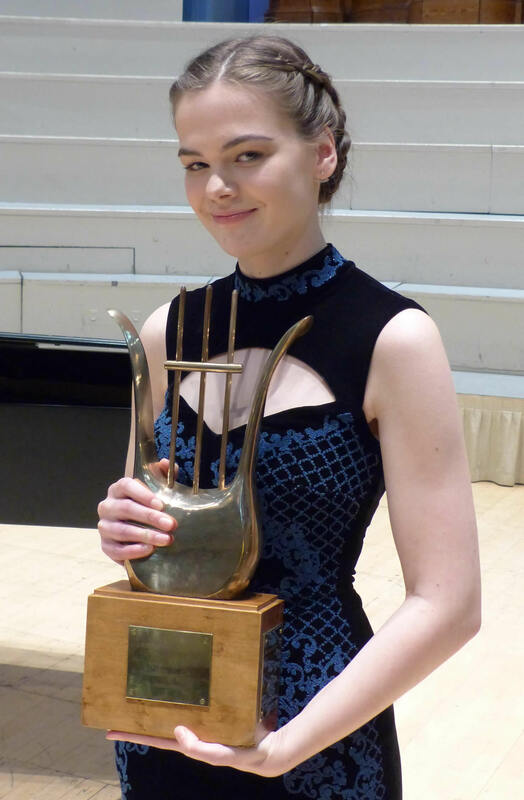 As winner Imogen received £1,000 and a trophy which was presented to her following her performance at the gala concert.